We are happy to announce the recognition of two of our projects by The American Society of Landscape Architects, New York (ASLA-NY) with 2019 Design Awards. Congratulations to Civitas, Inc. the design lead for Julian B Lane Park! 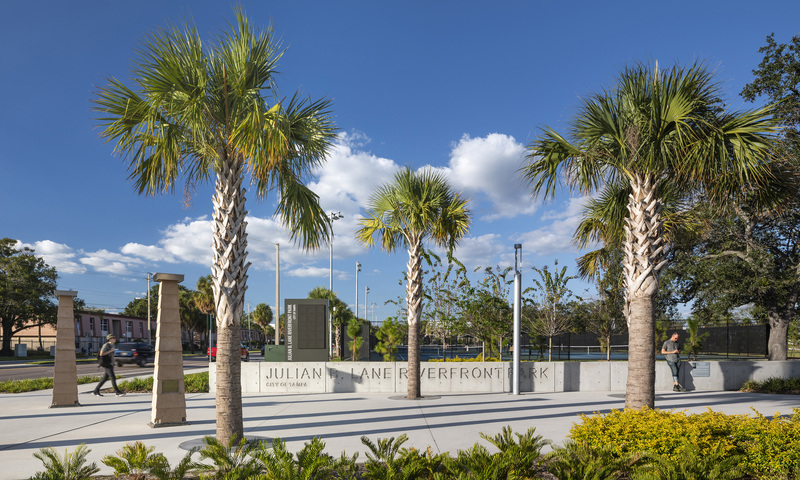 Julian B Lane River Center and Park, in Tampa Florida, received an Honor award. See the full project here. The Valley Beeline, a key part of our Chouteau Greenway Competition for St. Louis, MO received an award of Merit. Read more about that competition here. The announcement was covered by the Architect’s Newspaper.